At Tiny World Day Nurseries, we have been caring for children aged from 6 weeks to 11 years old for over 30 years and, as such, have built a reputation for our complete dedication to child development. 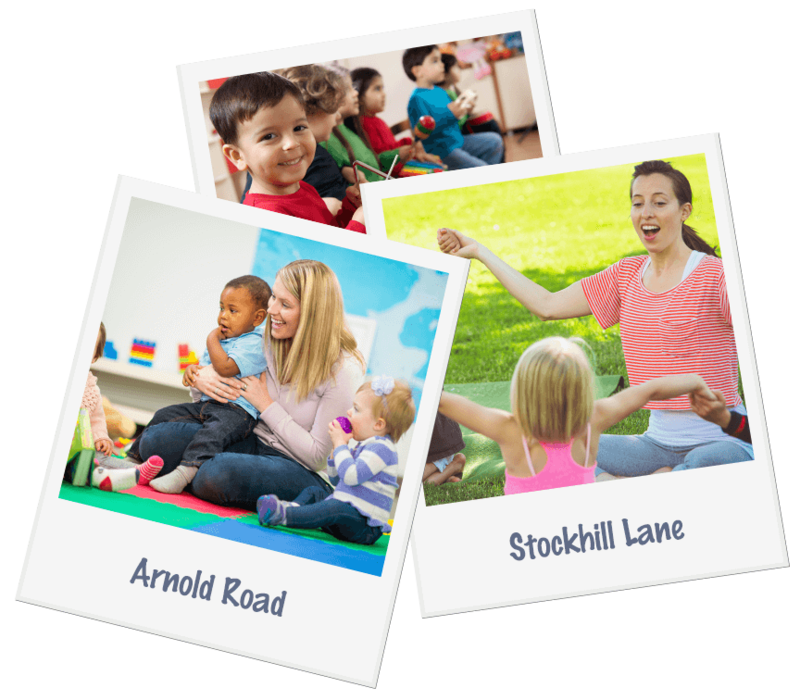 We understand how important childcare selection is for parents and guardians, which is why we promise to provide a warm, welcoming environment where your child is nurtured and encouraged to play, interact and grow. I think the nursery's brill. Reece loves it and you manage to tire him out for when I pick him up – it's very rare that he's tired! Excellent nursery! Abigail has started to eat and has learnt social skills and how to share; important as she's an only child. Staff are friendly and extremely helpful with ‘learning' parents as well. I will miss bringing her in the holidays and Abigail will miss coming. Very welcoming! I like how the staff interact with the children and I like the snacks and meals provided. Within the little time that Ava and Josh have been here they have changed and progressed very quickly. Tiny World offers supportive and friendly staff. My child enjoys a range of activities that have helped her progress and develop. Throughout her time, she has learnt new skills and made lots of new friends; she loves it! We are looking forward to sending our second child to nursery with her older sister. Luke has settled in well and can't wait to get here in the morning. He enjoys his food and has been learning to use the toilet. He has learnt to do lots of things by himself. His confidence and speech have improved since being here and he has got to know all the staff very well. I'm very impressed with his progress. I have two small children who both attend Tiny World. Cole has been here for 9 months and India started when she was 3 months old. I have always found the staff to be extremely helpful and willing to work around my parenting. Cole absolutely loves attending nursery to see the friends he's built up from such a young age. Both Cole and India are extremely forward and I put this down to the good staff, surroundings and educational equipment. I feel happy when I leave them in the morning and know they are both in good care.